Ready for a program that will change your life and the way you think about food? 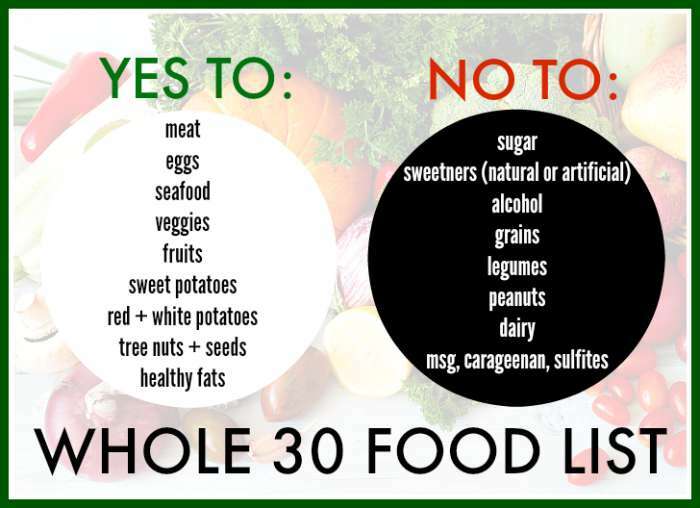 The Whole30 program doesn’t count calories or portion sizes, but heavily restricts the categories of foods you can and cannot eat. Join Vibe Ride for the month of August 2017 as our members participate in the Whole 30! Email tiffany@jgl.ecb.myftpupload.com if you want to commit to healthy habits. There are no exceptions, special circumstances, or cheats. That being the case, if you’re game for it, I’ve got what you need to get started. I’ll begin with this: if you’re going to follow the Whole30 diet, follow it to reset the way you eat, therefore allowing it to reshape the way you cook and think about food. That is the program’s intended purpose. Do not follow the Whole30 diet for a fast-track to weight loss. Whole30 is essentially a month of restriction that offers real health benefits and mental clarity. You will be so proud of yourself once you complete the entire month – trust me – it’s worth it! No sugar.This includes sugar alternatives such as Splenda or natural sources like honey. No alcohol. Even in cooking. I hope I didn’t lose you here. • No grains. None of any sort. No quinoa, no rice, no bread, no anything. • No legumes. This includes edamame, all beans, soy, soy lechtin (check your spices), and peanut butter. • No dairy. No cow or goat’s milk, or products made from it, such as yogurt, cheese or butter. • No carrageenan, MSG, or sulfites. This rule helps further eliminate processed, packaged foods. • No recreating baked goods, or junk foods with healthier ingredients. This means no pizza, not even if you use cauliflower to make the crust. This means no pancakes even if you use almond flour and bananas. We are changing the way we think here!